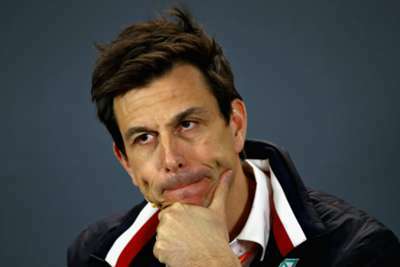 Toto Wolff says Mercedes only consider themselves "challengers" for more Formula One glory this season and he expects a "very different race" in Bahrain. Mercedes have won the constructors' championship in each of the past five seasons and started the 2019 campaign by taking maximum points at the Australian Grand Prix. Ferrari set the pace in pre-season testing in Barcelona but only amassed half of the Silver Arrows' 44-point tally in Melbourne. Valtteri Bottas led a Mercedes one-two ahead of Lewis Hamilton at Albert Park, but Wolff expects the Scuderia to hit back under the lights this weekend. "After the Barcelona test, we felt that we were the challengers. Whatever the Melbourne result says, our mindset hasn't changed since then." The Mercedes team principal said: "Claiming the maximum 44 points from the first race was a fantastic result, we could not have asked for a better start to the season. "But the fight has only just begun: Ferrari will try everything they can to hit back and Melbourne showed that Red Bull will have something to say in the fight too. "We've seen the potential of Ferrari's package in Barcelona, so we expect them to come back strong in Bahrain, with Red Bull in the mix as well. "We will see a very different race in Bahrain, where the weekend presents unique challenges, especially the change in conditions between the sessions. FP1 and FP3 take place in the middle of the day when both the air and the track can be very hot; FP2, qualifying and the race on the other hand are held in the evening in considerably cooler temperatures. "These temperature swings make it very tricky to set up the car and find the right configuration for the sessions that really count. "After the Barcelona test, we felt that we were the challengers. Whatever the Melbourne result says, our mindset hasn't changed since then. One race doesn't determine the pecking order for the rest of the season. "We need to extract every bit of performance from our package and keep on working hard to improve the car over the weekend to be competitive. We've had some great racing in recent years in Bahrain, so I'm looking forward to an exciting weekend."